On 23 and 24 October 2018, the INCU Office in Canberra, Australia was visited by a delegation from the University of International Business and Economics (UIBE), which is a long-time Institutional Member of INCU. 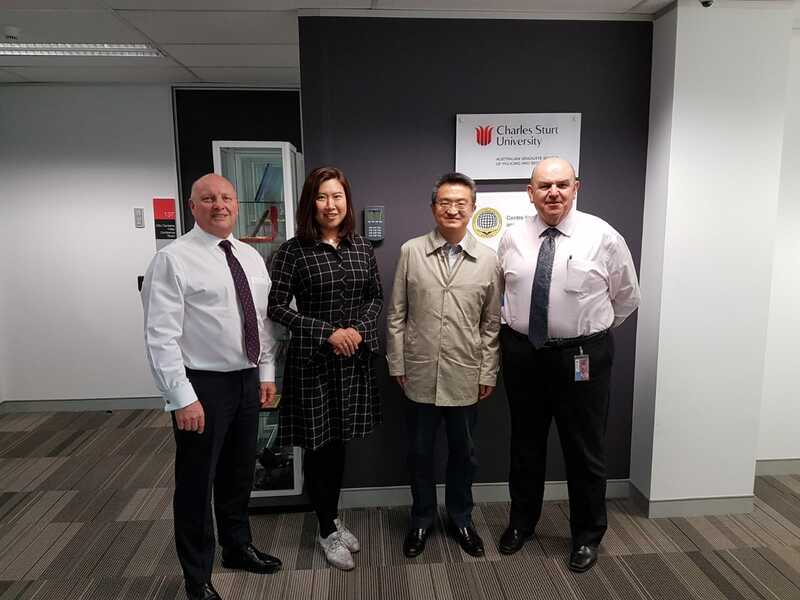 The UIBE delegation comprised of Dr Xu Wei, Head of Customs Administration Department of UIBE and Dr Wang Bei, Associate Professor, School of Public Administration of UIBE. The purpose of the visit was to discuss options and opportunities for further expanding cooperation between INCU and UIBE, as well as between UIBE and CCES where the INCU Secretariat office is located. The UIBE delegates met with INCU President, Professor David Widdowson, Head of INCU Secretariat, Dr Mikhail Kashubsky and CCES Director of Vocational Training, Mr Brent Juratowitch. Several potential areas of cooperation were discussed during the meeting including student internship opportunities at INCU, publications of UIBE staff and their contributions to the World Customs Journal, participation of UIBE staff and students in INCU events and activities, and WCO accreditation of academic programs including assistance that INCU can provide to UIBE in achieving WCO recognition. The visit also included an official dinner and Canberra city tour.